It has abundant marine resources, a wide array of plant species many of which continue to be discovered, rare animals and other wildlife and lush first-growth forests. Indeed, Palawan is a tropical paradise. 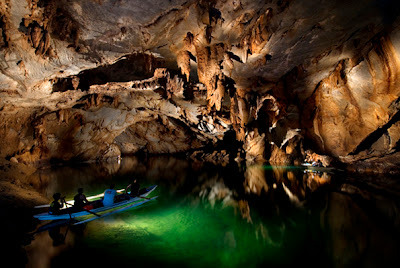 The reputation seemed to have been cemented by the Puerto Princesa Underground River (PPUR) recently making it to the list of the “New 7 Wonders of the World.” Puerto Princesa City is the capital of the province. Landing on the list is evidently driving new hordes of tourists to Palawan who have been reported to marvel at stalactites in a cave through which the underground river passes. The cave is home to tens of thousands of bats hovering above as bancas filled with tourists make their way through. To protect the PPUR’s fragile ecological state, the local government only allows 900 tourists to visit in a day. To book a tour, e-mail info@puerto-undergroundriver.com or undergroundriver_ppsrnp@yahoo.com, or call 048-723-0904 (Sabang)/Telefax: 048-434-2509). After visiting the river, you can just relax or swim at the nearby white-sand Sabang Beach. Winged creatures and bay delights. If you’re unable to book seats on the PPUR tour, don’t fret. There are other equally interesting places to check out, such as the Iwahig River Firefly Watching Tour. First initiated by a broadcasting company and the municipal government, the tour is now exclusively run by the local community. As you travel down the river in pitch-black darkness, you will come upon a myriad of fireflies flitting about. Look down into the river itself, and swish your hand in the water, and scores of luminous plankton will appear. You can also fish in the Iwahig River, but it’s best done in the early morning. 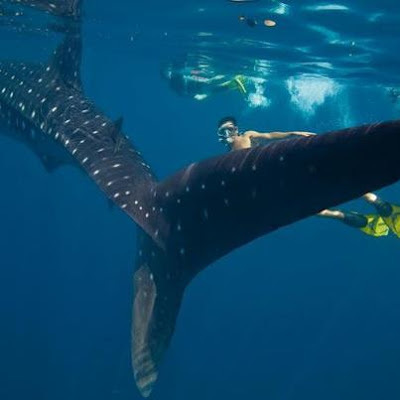 Another exciting destination is Honda Bay just a few kilometers from Puerto Princesa Bay, where whale sharks congregate. The whale-shark area is about an hour’s ride by banca from Puerto Princesa Bay. These massive but gentle creatures swim in the area from April to October. You can also watch spinner dolphins swim by your boat and do tricks on Puerto Princesa Bay. They are friendly creatures who seem to welcome the attention of humans. Historical perspective. Within Puerto Princesa City, visit the Special Battalion World War II Memorial Museum in Barangay Bancao-Bancao, as well as the Palawan State University Museum in Tiniguiban Heights, which also showcases rare Palawan artifacts. For tour packages, call Vivian Musngi of Island Eco Adventures at cell. no. 0917-8495477. Good eats. Seafood is most commonly served in many restaurants in Puerto Princesa City. The most famous seems to be KaLui on 369 Rizal Avenue (T# 048-433- 2580) for the freshest seafood and vegetable dishes in the city at reasonable prices. Be sure to ask for the catch of the day, which will usually be served with either rice or camote fries and vegetables. Another interesting dish is Stingray in Coconut Cream, or your choice of fresh shrimps, crabs and lobsters in whatever way you want these to be cooked. Authentic Vietnamese fare is also widely available in Puerto Princesa City, which once hosted close to 1,500 Vietnamese refugees in a massive camp the 1980s. Viet Ville (Km. 13, Barangay Sta. Lourdes) is where a few Vietnamese have remained and intermarried with the locals. They run the Viet Ville restaurant and souvenir shops. The freshly baked French bread is already a good reason as any for visitors to make a quick stop for eats in the village. The Pho (noodle soup), which is served with either beef or pork, makes for a hearty and comforting dish. The nightlife. In the evening, most tourists and locals head to bars like Kataboom or restaurants like Taverna Luna (its kinilaw na tanguigue or Spanish mackerel ceviche is said to be the best in the city). Both establishments, which are found on Rizal Avenue, feature live bands. For a different kind of entertainment, check out Gypsy’s Lair Art Cafe (Unit 20 Mercado de San Miguel, National Highway) owned by local art patron Dinggot Prieto. The art café holds jazz/flamenco guitar performances every Saturday by former Manila-based journalist Dempto Anda. 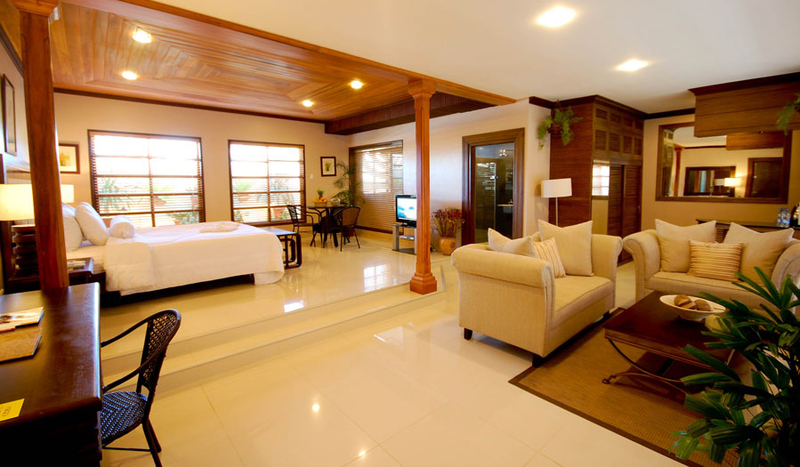 Choose Citystate-Asturias Hotel along the South National Highway, Tiniguiban (T# 048-4339744/4343747 in Puerto Princesa or 708-9600 to 05 in Manila) for the ultimate in Filipino hospitality. The Garden View Rooms uplift the soul with a profusion of flowers and foliage, while the Poolside View Rooms offer guests a refreshing scenery. It currently has a P299-buffet for lunch and dinner. Hotel Fleuris along Lacao Street (T# 048-434-4338) offers a central location and a most comfortable stay for guests. It also usually has barkada (group) packages for six persons based on triple-sharing rate. Super friendly staff! The Legend Hotel on Malvar Street in Barangay Mandaragat (T# 702-2700 to 04) is quietly elegant and offers guests an extensive breakfast buffet and merienda fare. Staff are tops for being accommodating to guests’ needs. Getting there. Most major carriers fly to Puerto Princesa City from Manila, Clark, Cebu and Iloilo. For more information on Puerto Princesa, visit http://www.visitpuertoprincesa.com.